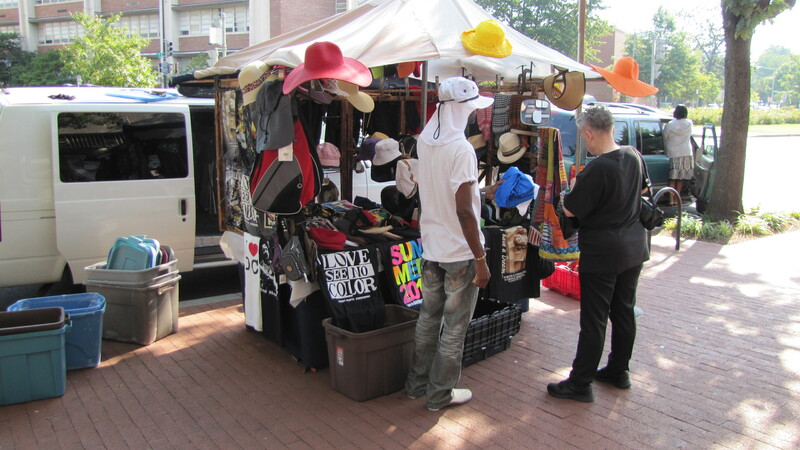 Frank Lloyd has stationed his business on the corner of 7th and Pennsylvania Avenue, SE, since 1984, selling sunglasses, hats, t-shirts and other merchandise to passersby. 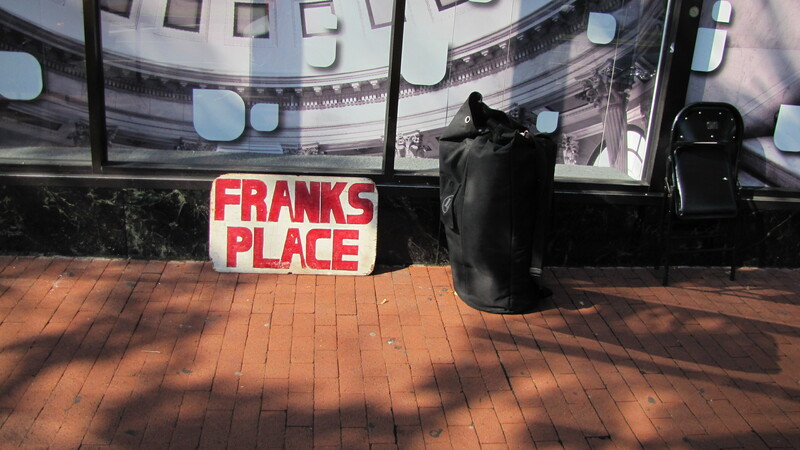 “I first set up on Metro Plaza,” he says, but “they moved me over here.” “Over here” is the sidewalk next to CVS where he sets up five or six days a week. 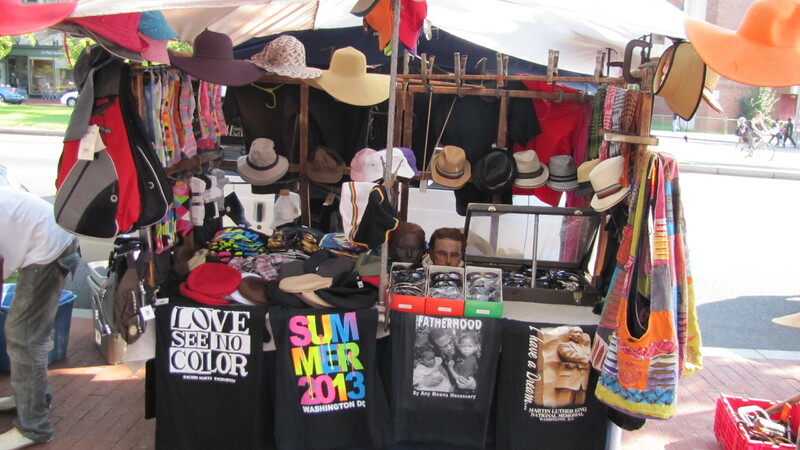 He says his best-selling items are sunglasses and t-shirts. Lloyd took over the business from his older brother, who moved on to a career in real estate in Raleigh, North Carolina. Lloyd recalls the early eighties, when there were not many vendors or wholesalers in DC and he had to drive to New York for merchandise every couple of weeks. 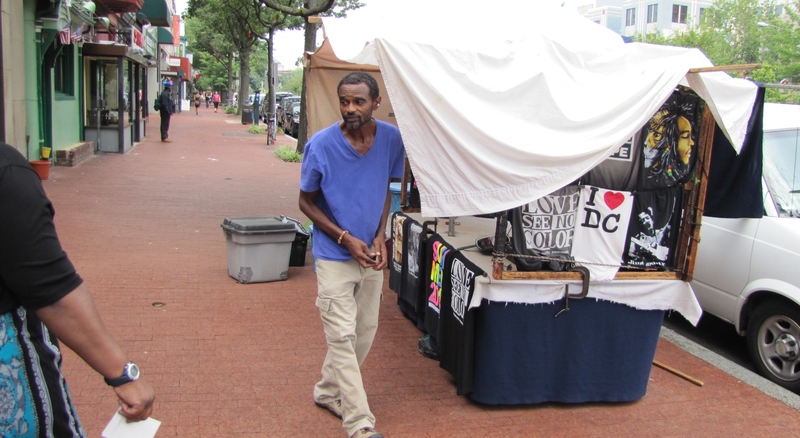 “The 80s and 90s,” he says, “were the good old days because of the economy – money was flowing a lot better.” Lloyd was born in DC and grew up in Barry Farm in Anacostia – a neighborhood named for its origins as part of the farm owned by James Barry in the mid-19th century. 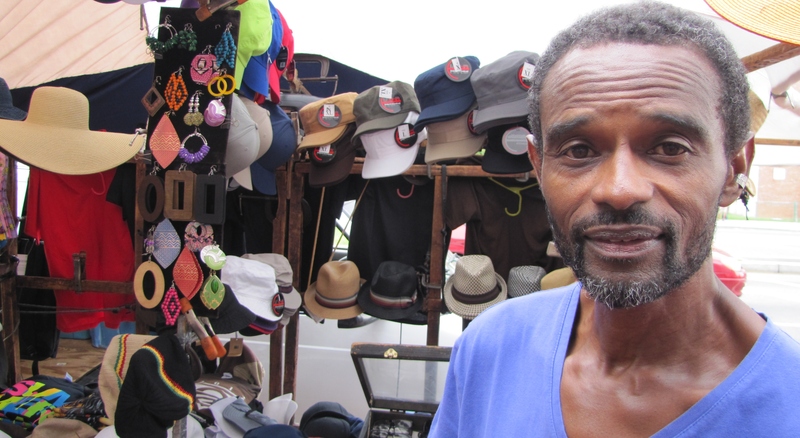 While vending is Lloyd’s livelihood, drumming is his passion. Asked to account for his interest in the drums, he recalls the local groups that played in Anacostia Park in the 70s. Walking back from one of these events, “I saw a guy playing three congas and that inspired me.” At first self-taught, Lloyd later trained with the Andrew Cacho African Drummers and Dancers, a group founded in the early 70s which taught African Dance and Drumming to youths at Friendship House and later at a location on 8th Street. After that, Lloyd was mentored by Baba Ngoma – “Father Drum” – a legendary drum master. Though he plays professionally only rarely, he has sat in with local jazz artist Wayne Davis. Lloyd sells a CD at his stand which features his work on conga, bongo, and djembe drums. Titled, “Another Level. 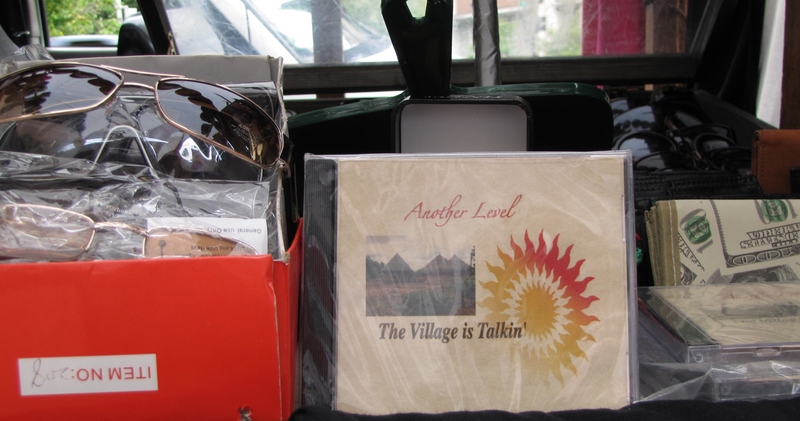 The Village is Talkin,’” the CD is the result of collaboration among local jazz artists Izyez, Aaron J., Lawrence Williams, and Denyse Pearson AKA Lighthouse. The music featured on the CD is accessible and carefully considered. The artists use drums, spoken word, vocals, and instrumentals to explore themes of black community, self-sufficiency, spirituality, pride and, most prominently, the importance of history. “The Village is Talkin’” is priced at $15.